International vs Interstate Moving; Which One Suits You? It’s never a bad thing to want to move and relocate in life; doing so can be very fruitful in a number of ways. It can freshen up a previously stagnant life, it can provide fresh motivation to succeed and it can enforce a whole host of other positive impacts on one’s life. But, the decision to move should be one that is taken both carefully and with great precedence. Specifically, the type of move, whether it be international or interstate, should be thought through carefully. If you're looking to shake up your life through a relocation, then make sure to read on find out whether you should move overseas, or stay in your current country. Different countries produce different ways of life, that’s just a given. So, you need to take that into consideration when you come to deciding between an international or an interstate relocation. If you are looking for a complete and utter change in your life, and you believe your current circumstances would make this kind of change a fruitful journey for you to embark on, then by all means relocate abroad. But, if your life is as solid and as stable as it ever has been, i.e. if you are married with children or other dependants, then perhaps an interstate move would be better if you are in fact dead set on moving. You cannot forget that relocations cost. More to the point, you cannot forget that some relocations *cough* international ones *cough* cost more than others. And, you cannot forget to take these financial costs into account. 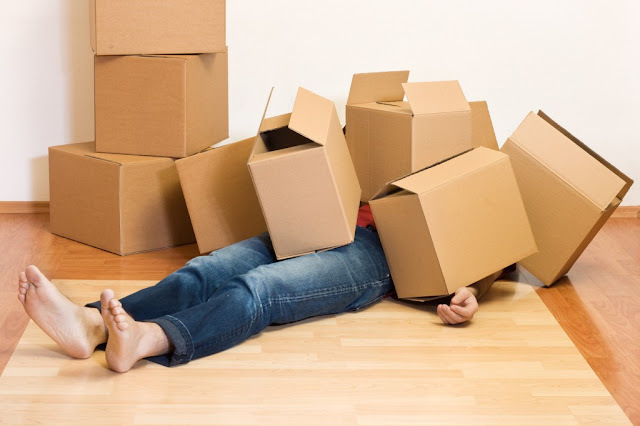 You should begin by taking these costs into account when it comes to actually moving all of your worldly belongings. Simply, an interstate removalist is going to charge far cheaper rates than an international one, simply because they won’t (generally) have to pay for boat or plane fees. What’s more, a removal company that deals with interstate moves is going to be fair easier to come by, too, which means less effort would need to be spent on enlisting their services, too. Another cost that you should take into account is the cost of living. Let’s get straight to the point: the cost of living varies in each different country. In one country a pint of beer may cost one price, in another it may be considerably cheaper or considerably more expensive. So, what you should do is check out a cost of living index in order to see if you could afford to relocate abroad. If you can afford the cost of living in the country you are proposed to relocate to, then by all means head straight there. There are always going to be added headaches added on top of the headaches you already have when it comes to upping sticks and relocating to a new geographical area, no matter how close or how far this area is. You have to ensure all of your belongings make the trip safely with you. You have to ensure everybody you are moving with is on board with the move. And you have to ensure all the legal formalities are in place. Then, you have to take into consideration the demands of the country you are moving to, if you are in fact moving internationally. For instance, would you need to get yourself specifically vaccinated for the move? The final and probably most important thing you have to consider when it comes to either moving internationally or interstate is how the move will improve your life. If one is more likely to do it than the other, then opt for that one. But, if neither are likely to do it, then is there any point in moving at all?